Speculation – Blizzard All-Stars Cinematic Teaser or Gameplay Demo in the Oven? The Rumor Mill gear continues to grind and its smoking chimneys to brisk. Browsing through YouTube, I unearthed a video posted by actress Tricia Helfer the day after StarCraft II: Heart of the Swarm launched (March 12). She mentioned she did some voicing for another video game, but couldn’t talk about it, and just teased. She didn’t mention if this new video game is for another studio, but considering she was talking about Blizzard’s StarCraft II — it’s open to individual interpretation. Look it up in the video at 03:15. 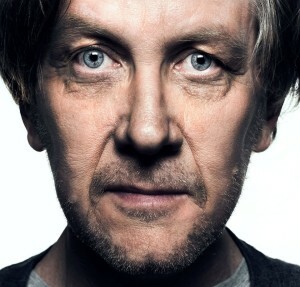 That reminded me, a few weeks ago I reported that actor Robert Clotworthy (Jim Raynor) had been recording at Blizzard’s voice over studio on June 12. Robert tweeted the Bourbon Cowboy was at the studio. Old-school fans know that “Bourbon Cowboy” is a nickname attached to “Chris Metzen” (Senior VP of Creative/Story Development). Legacy of the Void should be in a very early infancy considering the developers just launched Heart of the Swarm 3 months before Robert’s tweet. Too soon to start recording voice over for the single player. Tricia recorded that other game session prior to the launch of Heart of the Swarm. With Robert asking not to jump to conclusions (It’s was not a voice over for Legacy of the Void) one has to wonder what else would Tricia and Robert be recording their voice for? 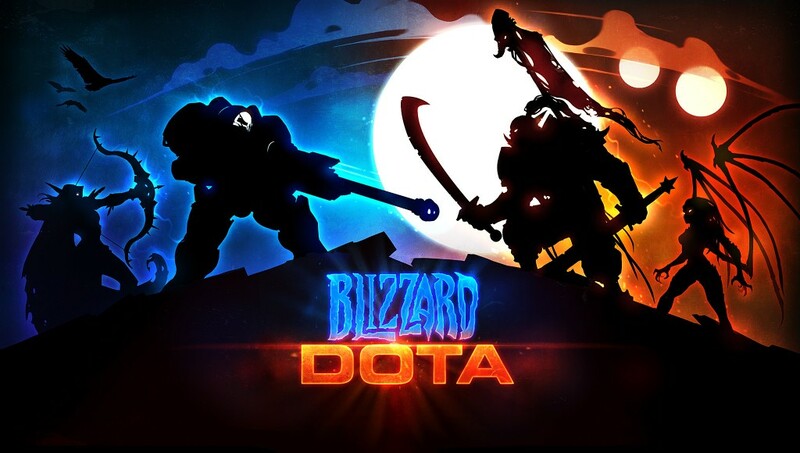 If you look the Blizzard All-Stars was formerly named Blizzard DOTA. In the early logo you can clearly see the silhoutte of Kerrigan and Jim Raynor. Either both actors recorded the cinematic teaser of Blizzard All-Stars to be shown at BlizzCon 2013 on November 8, or the Blizzard All-Stars gameplay demo required their voice overs. Of course, take all these as blatant speculation. Blizzard Entertainment welcomes fans with excellent talent and experience to apply for a career to join their team. Months ago, Universum revealed Blizzard Entertainment ranked #6 2013 America’s Ideal Employer. Check out the latest job openings, and hit the “Apply” link to reach the online application page. Alternatively, you can reach the Blizzard Careers recruiters directly on Twitter for questions. There are dozens of job openings not listed here. 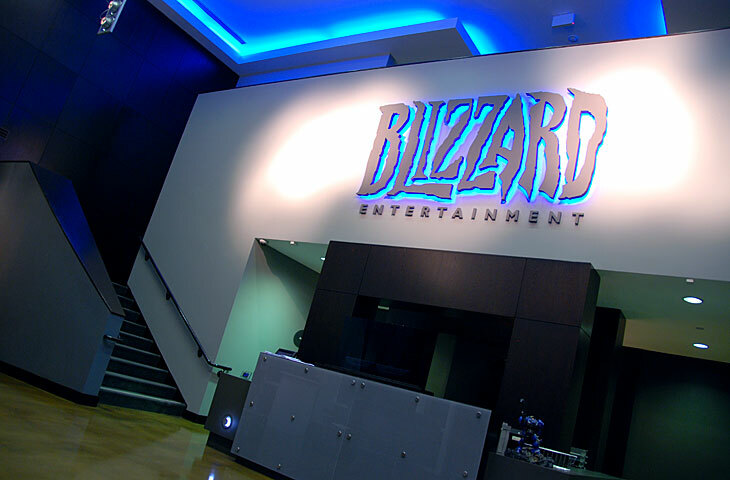 Visit the official Blizzard Careers Page for openings in The Americas, Europe, and Asia. Especial Tip from your Friendly-Neighborhood Blizzplanet: A good way to get a job is to befriend the recruiters and be in contact with them often — especially if the job opening you seek is not currently available. When a slot is available he/she might reach you out. Our online publishing division is looking for a groundbreaking editorial manager to set up shop and assist in coordinating and curating high quality content across all of their platforms. The position will initially focus on the StarCraft II World Championship Series, but the depth and scope of responsibility will quickly expand out on a Zerg-rush scale. Blizzard Entertainment is a wildly creative place to work with a rich and passionate art community. Blizzard Academy specializes in helping others to learn, grow and succeed in this dynamic environment. As we prepare to launch our apprenticeship program, we are looking for a talented artist who is inspired by educating the next generation to fill the role of Art Trainer. Our ideal instructor is an experienced production artist who has also had the opportunity to teach professionally. The trainer will have cross-disciplinary experience with a focus in character modeling and texture painting. Is that you? Are you the type of person who uses a product and immediately strives to figure out how you could design it better? Do you enjoy solving problems at a conceptual level, but also love figuring out the details when it comes time to make those conceptual ideas concrete? We’re looking for a UX Designer to join our corporate applications UX team to do exactly that! The UX designer will be working on internal applications that aid the company and our players with solutions that streamline efficiency, support game development, and foster Blizzard Entertainment’s culture and core values in the workplace. The UX designer will collaborate with a variety of teams (customer service, game development, human resources, etc.) to design solutions that meet strategic business objectives while also creating a useful, intuitive, and epic experience for our users. This role is best suited for someone who embodies the philosophy that UX design is centered around people, and that our goal is about getting things right for our users, not about just getting things done. Rumor: Blizzard All-Stars Voice Over this week? 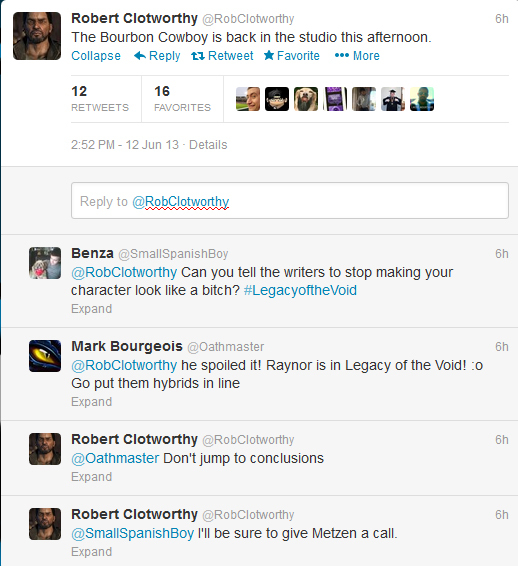 There was a very brief tweet by Robert Clotworthy today concerning Chris Metzen at the studio. When a fan responded the tweet with the Legacy of the Void hashtag, Robert responded to him to not jump to conclusions. For years I have been one to discuss rumors and to put several scenarios on the table for fans to browse through to pick their favorite one in benefit of discussion. What I personally can guess from these bits of comments is that the voice actors are recording for the Blizzard All-Stars. That’s a game where Robert Clotworthy might be called to the studio to record Jim Raynor’s voice for. It could also be for the Blizzard All-Stars cinematic trailer if Blizzard had plans to unveil that at BlizzCon 2013 this upcoming November 8-9th. A very remote possibility could be an appearance of Jim Raynor in StarCraft: Ghost — if that game was to be announced at BlizzCon. Remember, that game was postponed and has not been officially cancelled. Back on 2008, Rob Pardo mentioned at the D.I.C.E. Summit all the video games Blizzard Entertainment has secretly developed and cancelled. Curiously, StarCraft: Ghost was not in that list.